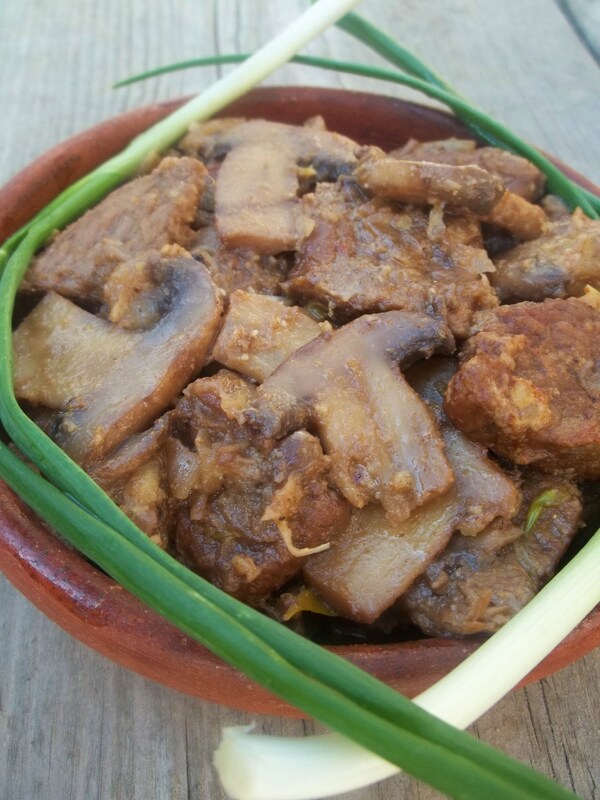 Beef Chashushuli with mushrooms is a delicious family meal with a spicy flavor. 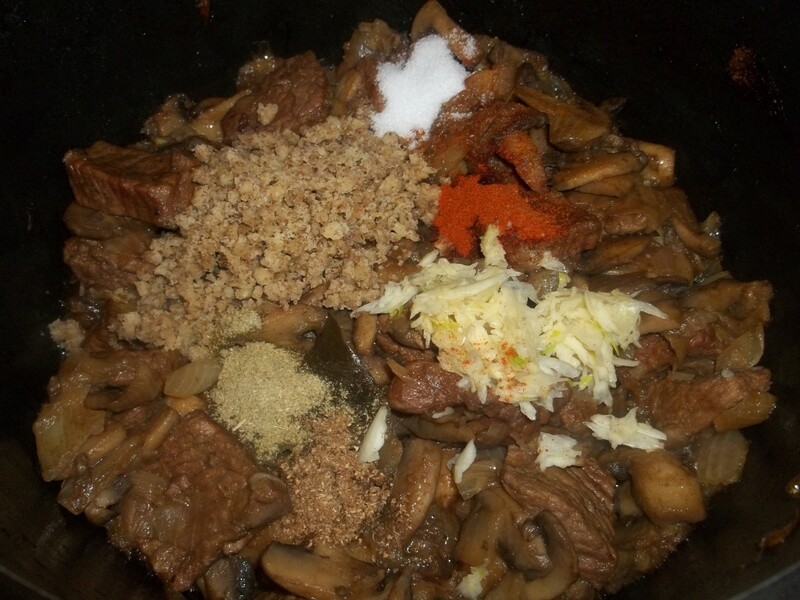 Ingredients: 1 kilo of lean beef, 2 large onions, 250 grams of walnuts, 500 grams of mushrooms, 6 cloves of garlic, 2 bay leaves, 1 tbs of hot red pepper, 6 tbs of oil, salt (amount dependent upon personal preference), 1 level tsp of blue fenugreek, 1 tsp of dried coriander and 8 tbs of white wine vinegar. 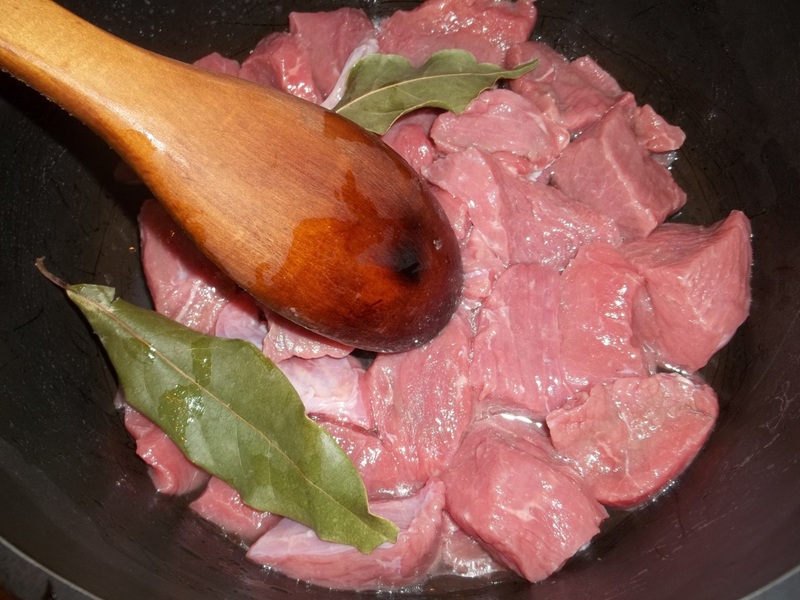 Preparation: Cut the beef into medium sized pieces and add, together with 2 bay leaves, to a deep pot containing 8 tbs of white wine vinegar. Partly cover and cook on a low heat until the vinegar disappears and then add 200 ml of water. Continue to cook on a low heat until the liquid disappears, stirring occasionally. Once the liquid has disappeared, add 6 tbs of oil and increase heat to medium. Stir. 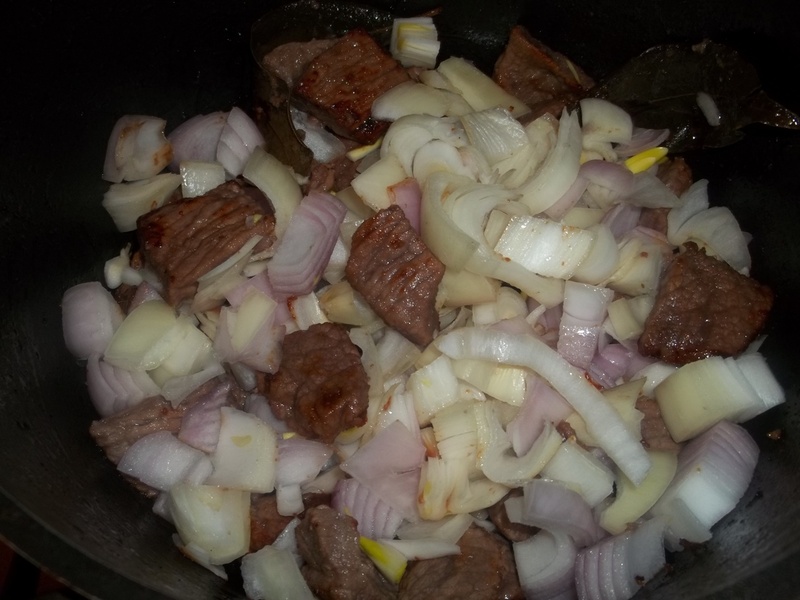 Chop the onions and add to the beef. 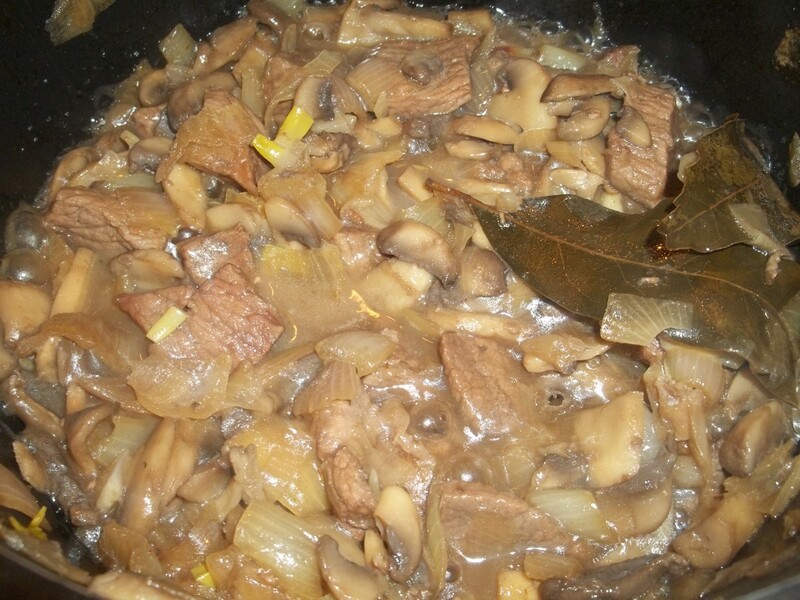 Thinly slice the mushrooms and add to the beef and onions. 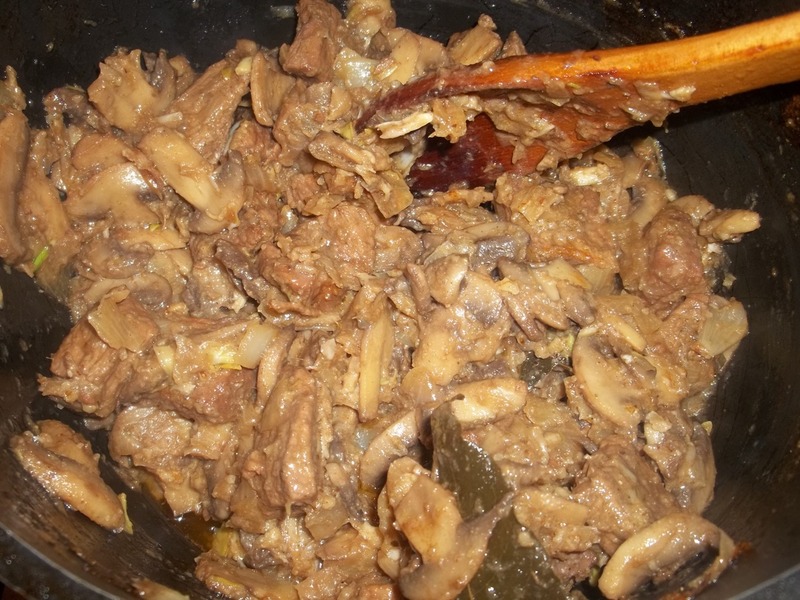 Stir and continue to cook on a medium heat until the mushrooms are cooked (around 25 minutes). Grind the walnuts and crush the garlic. 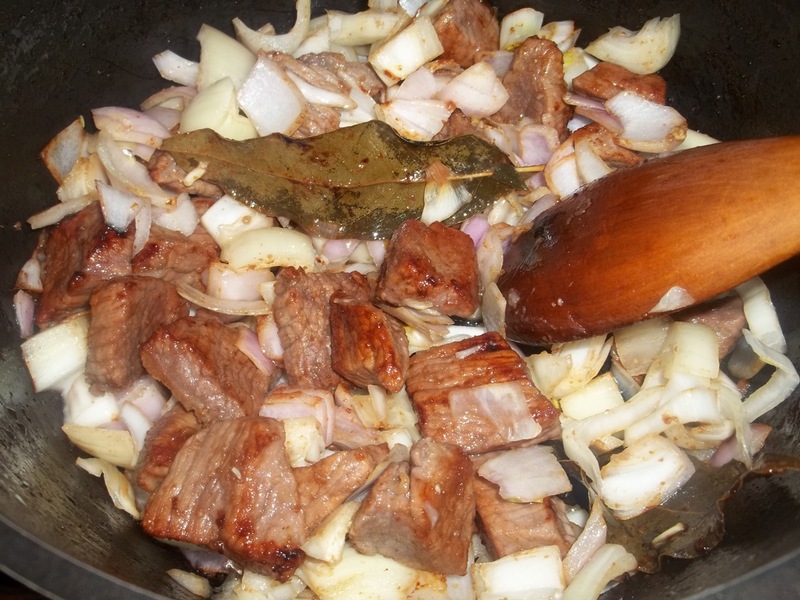 Add the walnuts and garlic, together with the salt, red pepper, blue fenugreek and dried coriander, to the beef and onions. Serving: Serve hot. We garnished ours with onions. 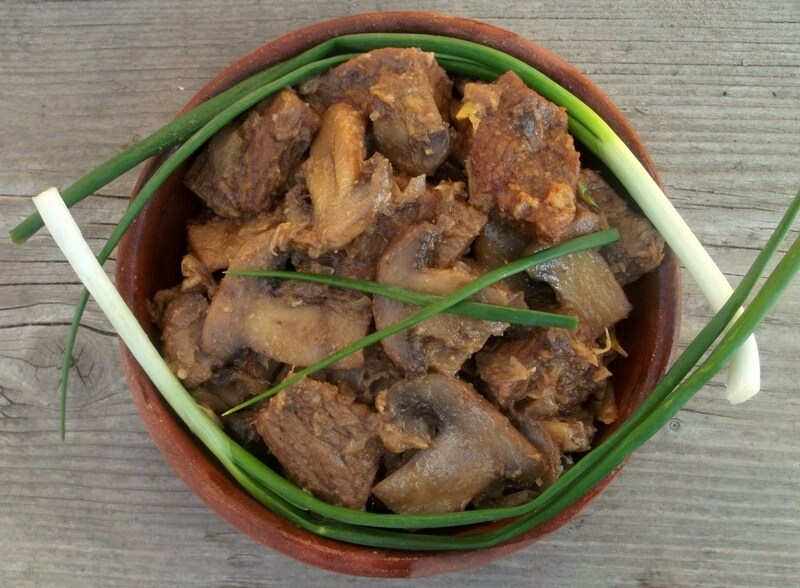 Enjoy your Beef Chashushuli with Mushrooms!